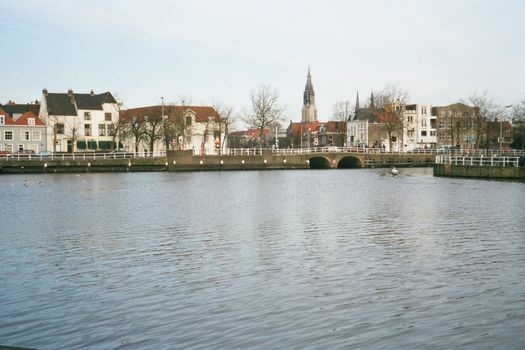 On the track of the "View of Delft" and "The Little Street." 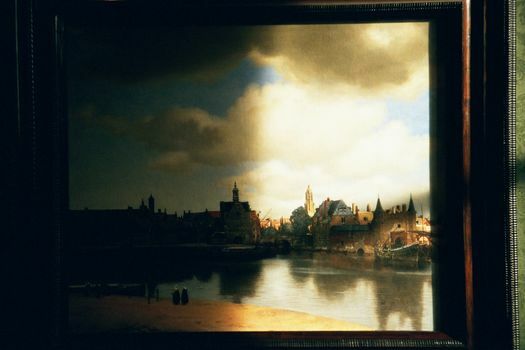 Vermeer's "View of Delft" is lit by natural light at the Mauritshuis, a museum in the Hague, a few miles west of Delft. Here, as the sun comes over a wall, half the painting is brilliantly lit, while the other half is dark. 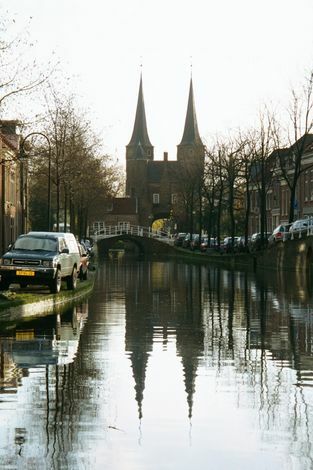 The same spot, on the ground: the Kolk, or "outlet," with the New Church spire in the background. 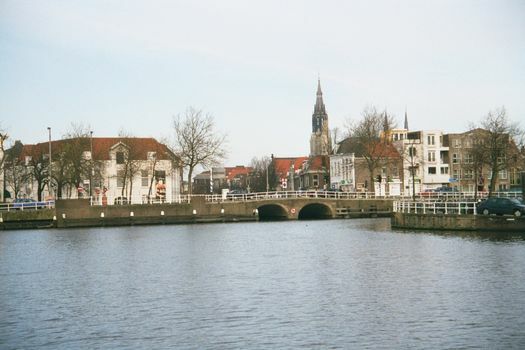 The Oosteinde (East India) Canal, looking from within the city southeasterly to the Oostpoort (East Gate) or St. Catherine's Gate. 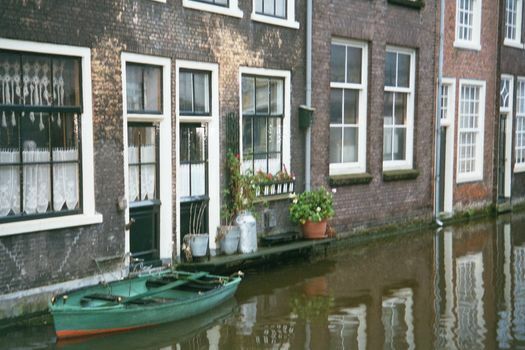 The same, from outside. 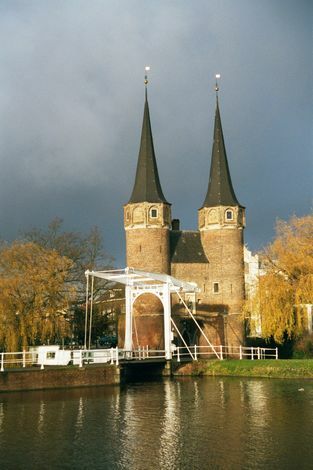 The structure dates from about 1400. 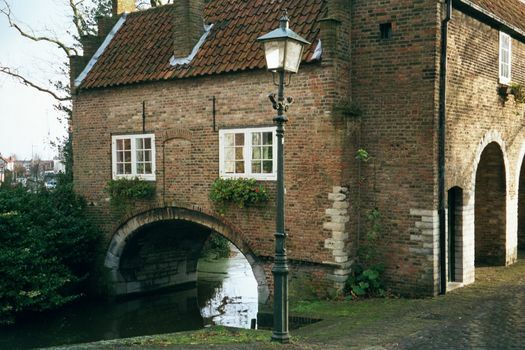 The gate is also a water gate: here is the passage into the East India Canal. 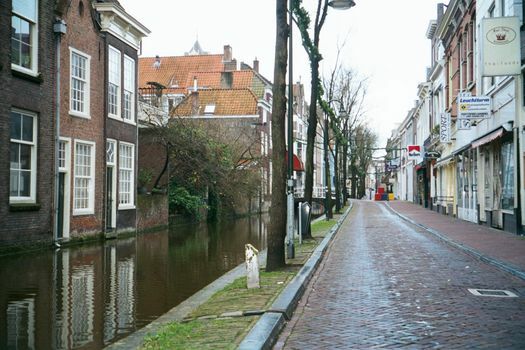 19 and 20 Voldersgracht, one of many candidates for the locale of Vermeer's "The Little Street." 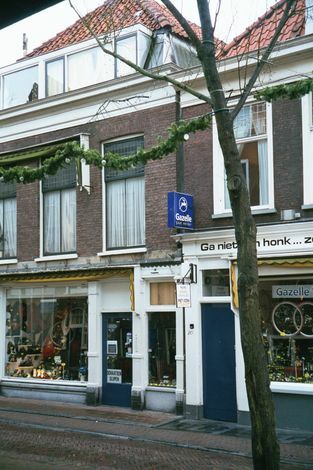 The same street, taking a longer view.